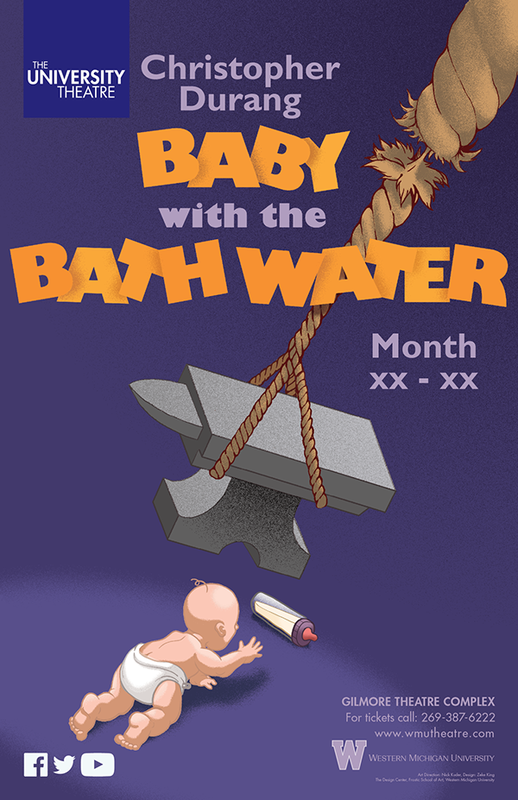 11x17 poster for the theatical production of Baby With The Bathwater by Christopher Durang. Baby illustration by Paul Sizer. Materials for University Theatre's production of Christopher Durang's Baby with the Bathwater in the upcoming season.